‘Do you have a story burning to be told? Do you have a voice that must be heard? Then write. Because writing is no small calling. Otherwise, get back to your normal day job and save us the agony of watching our time being flushed down the toilet. Tech Explorers League is a series of science fiction novels for children. It comprises three books: Rise of the Robot, Hacked! and Farming Fiasco. The author, Paul Kisakye, is an unapologetic Christian; he often refers to himself as a ‘Christian Writer’. He has to his credit another book, Prodigal Love: Embracing God’s Outrageous, Unconditional Love, which explores how most people think about their relationship with God. His short story, ‘Emotional Rollercoaster’ was also shortlisted for the Writivism Short Story Prize in 2013. From all indications, it is clear that he knows his onions when it comes to creative storytelling. The driver bots were robots that drove cars to the destination they were programmed to go. Imported automated vehicles were better, of course, but they were extremely expensive to purchase or maintain. 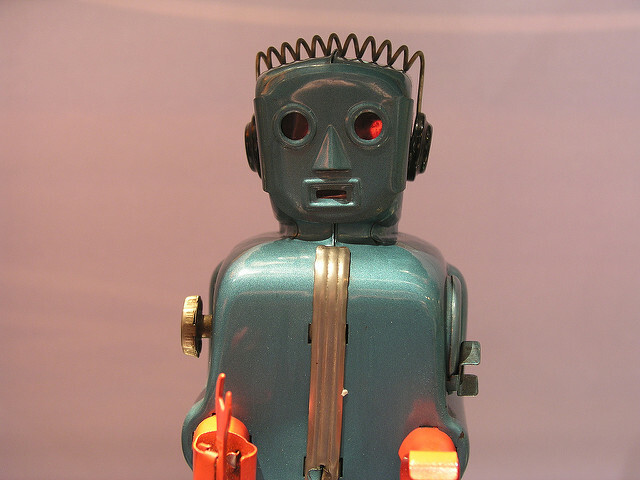 There are also robots for household chores, including cooking and cleaning. Contrary to the general opinion that the use of robots has an adverse effect on human relations, Rise of the Robot shows how they not only reduce human labour but also strengthen communications amongst individuals. The children have scant knowledge of what it means to work as a team until they decide to make a robot and realise that they all have different ideas of what they want it to do: Talemwa wants a humanoid robot; Jingo, one that can help him clean his room; Erisa, a fighter; Dembe, one to help him with his homework. In the spirit of teamwork, they are able to reach a consensus, which is to create a robot programmed to perform all the aforementioned tasks. With the help of Professor Fundi, the brain behind most of the country’s robots, they become exposed to in-depth processes and a wide range of technical terms that may be difficult for the average ten-year-old to comprehend but as Professor Fundi explains, ‘Robots are built around three disciplines: electronics, mechanics and programming’. No, I won’t buy them for you. That will teach you not to take something that’s not yours…. I guess that would make the lesson all the more memorable. Rise of the Robot also explores the issue of class distinctions. Dembe is the only one who lives on a farm; the others live in a building called Sky Towers with ‘a hotel on the floors of the mall, and apartments above that. It was fortunate for them that almost everything was within walking distance’. Moreover, Dembe’s father repairs faulty robots for a living, a profession that is not highly regarded, while Jingo’s mother is a celebrated writer. In every case, the importance of a formal education is emphasised. Unsurprisingly, Rise of the Robot also rates a working knowledge of robots as important. Dembe’s father, who studied agriculture in the university, points out that, ‘Robotics is very important…everyone needs to know the basics about robots, since they help us do a lot’. Rise of the Robot is an unusually interesting read. Even though it is burdened with a clichéd narrative structure, the book is well grounded in issues relating to science and technology. However, children might struggle with some of the more arcane conversations between Professor Fundi and the four young designers, especially when they discuss artificial intelligence. That said, Rise of the Robot is a fascinating read.